I got a call from the BBC on Friday afternoon asking if I was available to discuss London Ambulance Service's announcement that they were looking to recruit experienced paramedics from abroad. 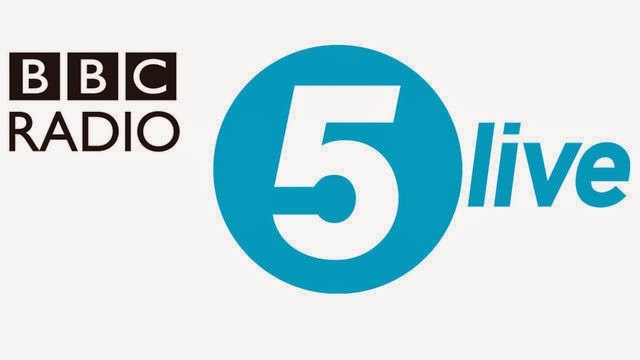 At 0550 the next morning, I was on my way to the local broadcasting studio to be plugged into the Beeb communication mainframe so I could talk to Tony Livesey, co-host of Radio 5 live's Saturday Breakfast show based in Manchester. As has been the case on my previous appearances, I came away feeling we'd barely scratched the surface of the topic. Had there been more time (or perhaps if I'd rambled less), I'd have liked to brought the focus of the discussion around to attrition (which was where I was going with the 20,000 registered paramedics) with many experienced paramedics being lost to burn-out, injury or opportunities elsewhere. This ongoing loss of experienced staff is surely one of the primary reasons for Trusts to need to go to such desperate measures to recruit, not the 'increase in demand' as the LAS press release cites. I'm sure the continual rise in demand and the lack of adequate resources couldn't have come as such a surprise to them that they suddenly need to go to the far side of the planet. As many of the comments of the Broken Paramedic Facebook discussion pointed out, there are many reasons for people to be leaving and far fewer for them to be arriving - especially in London, where the cost of living on a paramedic salary is far less appealing than elsewhere in the country, even with London weighting. It will be interesting to see if the recruitment campaign is a success, especially given that there would likely be a backlash if there was a 'golden hello' package involved. Incidentally, 'golden hellos' were the reason why the above broadcast ended with a slightly out-of-place statement from East of England Ambulance Service regarding their recruitment and counselling services. The reason for that was that, during discussions with the BBC production team on Friday afternoon, I had brought their attention to a related paramedic recruitment story published that day in the Eastern Daily Press, in which EEAS were criticised for 'spending more than £100,000 on “golden hello” payments to new front-line staff.' In order to give them the 'right to reply', EEAS were contacted. In any case, the fact that efforts are being made to bolster the ranks of paramedics can only be a good thing. It seems to indicate funding and management decisions are heading in the right direction. Or is that being too optimistic?